Adorned with a timeless style, the 47" Swinley Single Bath Vanity can easily fit right into any traditional or transitional bathroom with elegance! Its brilliant Antique Red finish gives off a bright and cheery feel, which complements the cool Dark Emperador Marble top. Each of its six drawers and the double-door cabinet are adorned with an Antique brass knob. 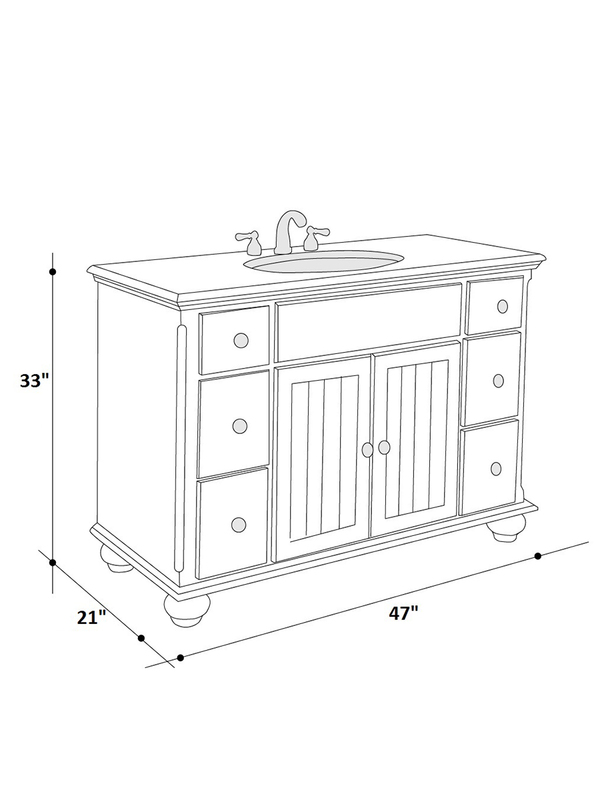 The cabinet doors have a frameboard look, which is brought to focus by the elevation made by the rounded legs that lift the vanity off the floor.